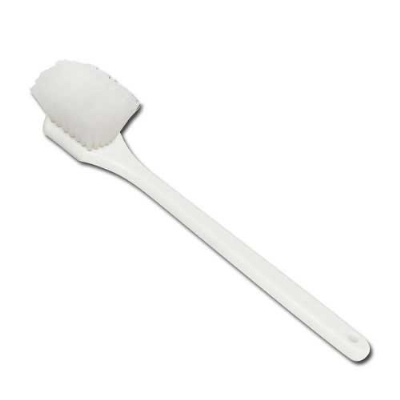 This 20" Pot Brush is used for cleaning large pots and pans. It is made of nylon and has a handle made of plastic and finger grips for comfortable using. It is also mold and mildew resistant.